The best Babylon Bee and The Onion are humor sites that engage in satire; but their object is less the political target. It is the readers and the pundits who will accept foolish stories if it fits their narrative. Their genius is selecting headlines that are believable to the true believers. It may be a comment on how outrageous our reality is that it is this easy to fool people, but it is a larger commentary on how easily we become a slave to our narrative. The genius of the Babylon Bee and the Onion is that they engage in headlines that are believable, especially to those where the content supports the narrative of the reader. 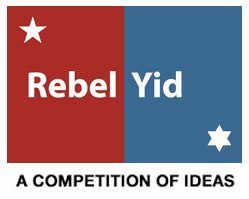 I posted the one above on my Rebel Yid Facebook fan page and a few comments clearly did not understand that it was a joke. Irresponsible reporting does more to harm the reputation of the press than anything Trump has done. I find these sites quite entertaining, bringing a useful new dimension to political satire. to my readers – don’t feel foolish if you failed to recognize the headline as a satire- our most respected news organizations frequently fall victim to their narrative.